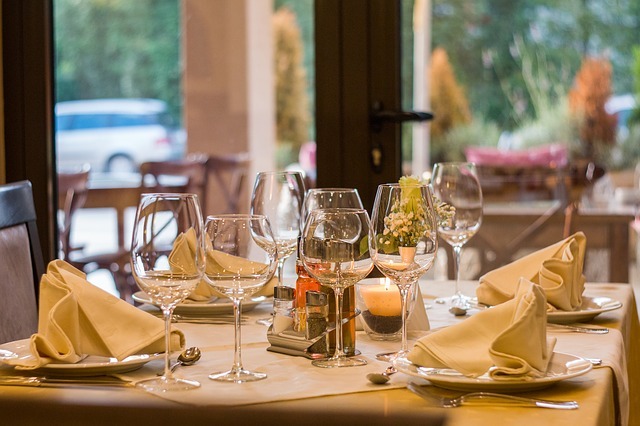 Leicester Square’s Italian restaurant: . My expectations of this place (Through talk alone) were pretty darn high, apparently the “best pasta sauce” my mate has ever had. It may not be entirely fair, but I’ve been to Bologna and ok yes I compare each sauce to the ones I experienced there, but I’m aware I live in the UK and whether you make it ‘Fresh’, Can or Jar it, I think it’s fair to say nothing will quite compare. Their pasta sauce was pretty close though I must say! It’s set off a side street and to be honest, a minimal amount of attention was paid, getting from A-B (A= Piccadilly Circus Station, B = Boca di Lupo). We arrived in what felt like seconds and I would’ve walked past it if it weren’t for the fact that the person I was talking to was no longer walking next to me. To the point, we were greeted at the door and our jackets were swiftly taken to the cloakroom. Cool. We sat at the bar…Centimetres from the food being cooked. Chef’s heaven! We saw every order being prepared and when I say fresh dish (Warning: Sealife lovers may not approve), I’m talking live langoustines pulled out, cut, fried and plated there and then in-front of you*. Every dish was sheer perfection and there wasn’t much fluster amongst the chefs considering it wasn’t just a fully booked lunch service, but one with eyes on every move and amateur critiques. There were 3-4 chefs in the open kitchen area and I loved watching their every move. I should admit now… ‘Lew, I probably nodded to a few sentences I wasn’t actually listening to’. * I know various restaurants offer this also, but no two restaurants are the same. Best seats in the house for any Chef/Foodie/Blogger/Human that eats. Front row and sided nearest the action. Chef to Service to Customer, it was the relaxed yet highly efficient structure of their system that really kept me intrigued. So if you’re fortunate enough to have the option to choose bar seating or a table in the restaurant area, I would highly recommend the bar…that’s where it’s all at. Caponata, Fried squid prawn courgette lemon and Spaghettini fresh tomato basil olives. Yes that’s a lot of food for 2 people. Great, I’ll give you a second to get over that one and ease your stomach with the knowledge that with most of their dishes they offer a small and a large. The ‘Small’ being the size of a usual side dish and the ‘Large’ being a full “This is my dinner” sized dish. The Waiter/ress will suggest 3 small dishes for a single person or 1 large, as it so happened I chose 2 small and the seafood dish was one size, somewhere in the middle. Lew on the other hand chose 1 small and 2 large and true macho style insisted on finishing the whole set. I like to think I was a good trooper and helped out with some mouthfuls here and there…but we won’t get into that debate. The menu is of course seasonal and truth be, I could have done without the Caponata (Served either ‘Cold’ or ‘Warm’ to taste) as it was too acidic for my taste and texture wise, I would have appreciated more bite. However, a dish you simply CANNOT go without is the Salted Cod, because that my lovelies, was amazeballs! We did have to wait a bit longer for it, but seriously, no adjective can describe how good that dish was…I might just go back for that dish alone actually. The Spaghettini didn’t hide any secrets, it was simple and delicate and as a pasta lover, I guess I picked it as my fail-safe; it was easy to overlook the dish on the menu, but if you’re not already spoilt for choice, please don’t. The Spaghettini packs a quality sauce that you will have to inevitably keep going back for. The Morels were a first for me and I must say I’m not blown-over (Nothing to do with the presentation, just personal taste). The Morels did complement the rest of this dish, but for me personally, with so many other flavours on the table fighting for my attention, I didn’t lament over them. The Guinea Fowl took the longest of all our dishes. I finished…Yes, finished all of my plates before Lew received this one (This never happens). Was it worth the wait? Yes. There’s big and then there’s BIG and portion wise if you’re ordering this one I’d say it was enough. If you’re absolutely ravenous or just can’t decide between this and another item, then 1 small one also. But seriously, there’s enough on the plate to fill you. This may just be a ‘Mia’ thing but give me a decent hand wash system and I’m sold. Their Handwash and cream smelt divine and yes they had those soft individual paper towels (So much more hygienic than a towel btw). The sink and area design…loved. Candles. Now at the first encounter you may think ‘Nice smell’, ‘Ambient’, ‘Cosy’. All are fair deductions, but all I could think of was fire hazard. That may just be the overly cautious in me. Overall, it was a great lunch experience and I will definitely be returning. What about dessert I hear the foodies’ chorus…check out my: Boca di Lupo & Gelupo Pt2 for that bit. You’ll understand why they’re separate when you read it.